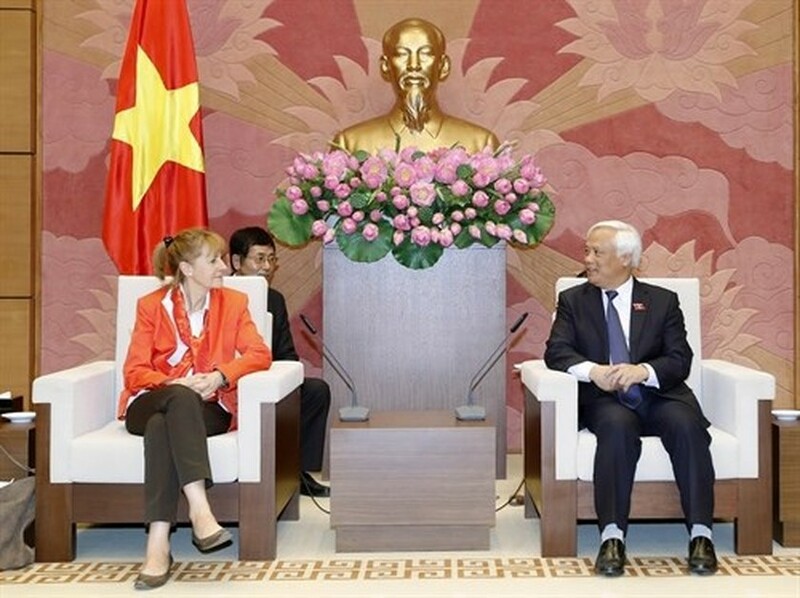 Vice President of the German parliament Edelgard Bulmahn said she will advocate the ratification of the EU-Vietnam Free Trade Agreement (EVFTA) which she believes will open up new opportunities for economic, investment and trade ties between Vietnam and Germany. During a meeting with Vice Chairman of the Vietnamese National Assembly Uong Chu Luu in Hanoi on November 16, Bulmahn also expressed her hope that the two countries will create more favourable conditions for their small- and medium-sized enterprises to meet and seek business cooperation. NA Vice Chairman Uong Chu Luu welcomed the German parliament’s Vice President to Vietnam to attend the fifth dialogue between the Communist Party of Vietnam and the Social Democratic Party of Germany (SPD), which was themed “Developing small and medium-sized enterprises in Vietnam and Germany”. Luu said the success of the dialogue will contribute to the development of the Vietnam-Germany strategic partnership. He affirmed that Germany is a leading economic partner of Vietnam in the European Union, expressing his hope that the German parliament and government to help Vietnam strengthen its multi-facted cooperation with the EU. The NA Vice Chairman urged Germany to work for the EU’s early official signing and ratification of the EVFTA, saying that the FTA will provide important leverage for economic and commercial relations between Vietnam and EU members, including Germany. Luu also rejoiced at the development of ties between the parliaments of Vietnam and Germany, and requested that Edelgard Bulmahn help to deepen the relations.